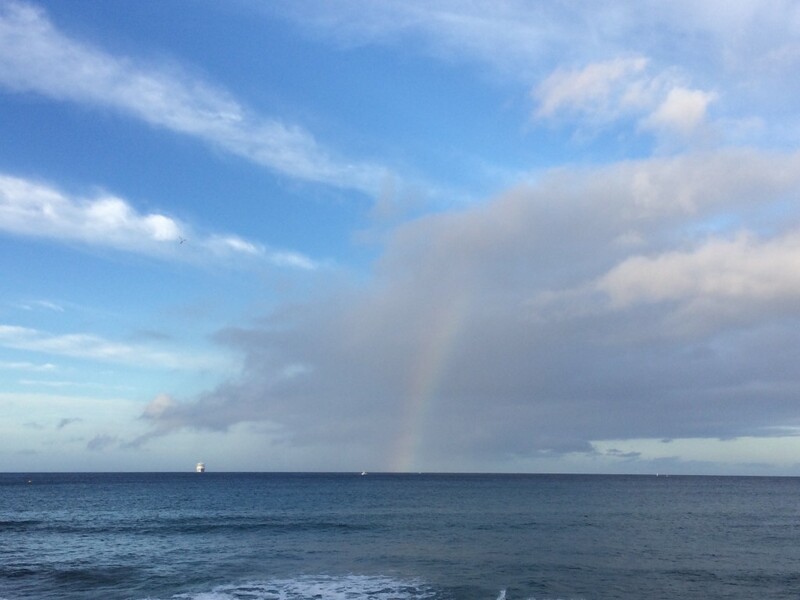 If I wasn’t present I would have missed this small piece of heaven….The Disappearing Rainbow! The other morning, I thought of Missed Possibilities while walking my dog Mojo. There was a woman on a mission. Her mission to find plastic bottles and cans to recycle. As I passed her and the trash, I noticed 3 feet away from her, were several empty plastic bottles thrown on the ground. She could have easily taken them to recycle. However, she was so focused on her mission to find recycled containers in the trash, she completely missed what was literally right in front of her. Instantly, I thought how many times do I miss possibilities? That’s right, I said possibilities! Possibilities become an adventure no matter what direction or choices we make because anything is possible. At times, it might not look the way we want it, however, anything is still possible. Opportunities pass us by and leave us feeling like there was something we didn’t do or have. When the opportunity presents itself we often miss it and we realize it later. That feeling can last a very long time. Then to change those limiting beliefs we created from one missed opportunity can sometimes take a lifetime. Missed possibilities happen when we are not present in our lives. Nowadays with kid’s after school activities, hot yoga, meeting friends for dinner, making dinner, laundry, etc. the list can go on and on. All this after a hard days work then to repeat the cycle again the next day. It’s called the rat race of life! It’s guaranteed we get focused on the next agenda rather than being present in the moment. The key to it all is to BE PRESENT! Not only do we miss out on what or who is around us . We miss out experiencing our true selves. Take note where you are not being present. You might find what you’re looking for within you……YOU! Let’s start Work Together to be more Present in Your Life?